(CN) – The Pew Research Center reported Tuesday that Americans are sharply divided along party lines when it comes to Immigration and Customs Enforcement, with Republicans supporting the agency just as strongly as Democrats oppose it. In a survey of 1,007 adults between July 11-15, Pew researchers found that most Americans overall support a litany of federal agencies, including the National Park Service, Census Bureau, FBI, CIA, Justice Department and Environmental Protection Agency. 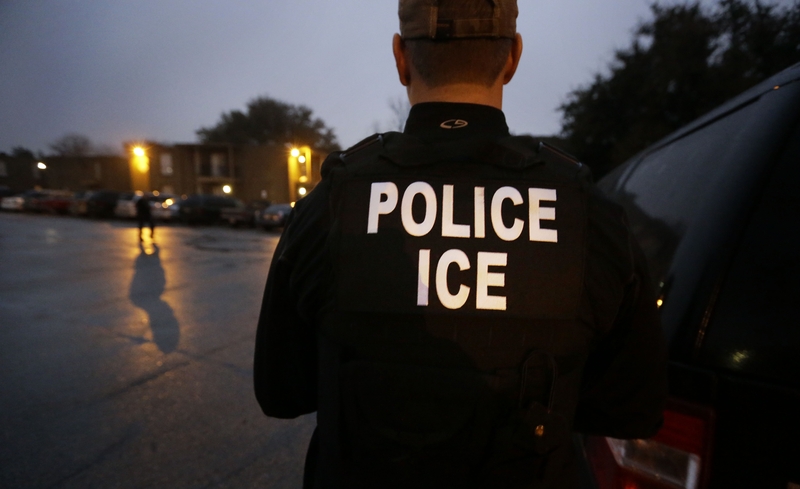 Immigration and Customs Enforcement was the only agency that didn’t get the approval of most Americans – 47 percent of respondents said they viewed the agency unfavorably, whereas 44 percent had a favorable opinion. But along party lines, favorability of ICE is a mirror image. Seventy-two percent of Republicans surveyed said they support the agency, and the same percentage of Democrats said the opposite. In terms of majorities by age, only respondents aged 50-64 viewed ICE favorably, at 56 percent. More than 50 percent of respondents between the ages of 18 and 49 said they had an unfavorable opinion of the agency. A 53-percent majority of women also viewed ICE unfavorably, while 49 percent of men said they approved of the agency. In line with their base voters, Democratic lawmakers and candidates in the upcoming midterm elections have advocated for abolishing ICE, including Senators Kristen Gillibrand of New York and Elizabeth Warren of Massachusetts and Alexandria Ocasio-Cortez, a candidate for New York’s 14th District. Democratic Senator Kamala Harris of California advocated for agency changes, but fell short of calling for abolishment outright. Such calls come after weeks of negative news coverage about how ICE has handled the Trump administration’s immigrant family separation policy toward those who illegally crossed or sought asylum at the border between the U.S. and Mexico. The FBI, an agency that has come under fire from President Donald Trump and several congressional Republicans, particularly on the House Judiciary Committee, still garnered an overall majority of support from respondents in the Pew survey. Between the two major parties, 77 percent of Democratic respondents and 49 percent of Republican respondents said they viewed the FBI favorably, with 65 percent of Americans overall showing support for the agency. The latter number represents a 1 percent drop since Pew’s last survey on the topic in February. Comparing the two surveys, Democratic support for the FBI fell 1 percentage point, and Republican support fell 6 points from 55 percent in February. Though the Justice Department also continued to garner overall favorability, partisan percentages for the department swapped – 60 percent of Republicans and 57 percent of Democrats said they supported it, whereas the inverse was true in February. In the same vein, Republicans now support the EPA slightly more than Democrats at 56 percent versus 53 percent, though both demographics demonstrated overall favorability. However, Democratic support for the EPA fell a whopping 15 percent from 68 percent in February. Such a dip in favorability was likely due to consistently negative news coverage that former EPA chief Scott Pruitt received during the time between the surveys, including a list of bizarre personal expenditures made with taxpayer dollars. Pruitt has since resigned. Despite partisan differences on the hotly debated agencies, the National Park Service, CIA and the Department of Health and Human Services received virtually equal majority support from both parties. The National Park Service received 83 percent favorability overall – the most support of any agency in the survey.